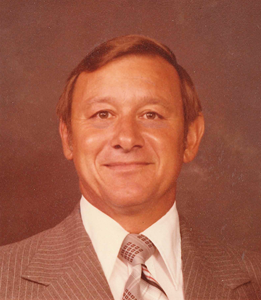 Max Vincent Dalsing, 84, of Olathe, passed away on August 23, 2018 at his home. He was born on June 23, 1934 to Vincent and Alice Dalsing in Oneida, Kansas. Max spent his career as a high school teacher, and a college professor. On August 20, 1956, he married Eleanor Lynn (Jones). Max and Eleanor lived in Olathe. He was a member of Redeemer Presbyterian Church. Max is survived by his loving wife, Eleanor, and 3 children, 4 grandchildren, and 1 great-grandson. He was preceded in death by his parents and one sister. Funeral services will be held on Monday, August 27 at 10:30am at the Redeemer Presbyterian Church in Overland Park with visitation at 9:30am. Burial will follow in Oak Lawn Memorial Gardens. Memorials are suggested to the Olathe Medical Center Hospice, Redeemer Presbyterian Church School, and Heritage Christian School. To leave a special message for the family, press the "Share Memories" button above. Add your memories to the guest book of Max Dalsing. Mr Dalsing was my Biology teacher at SM East. I remember him as a good teacher and a good guy. I have never forgotten that I was in his class on November 22, 1963. Mr. Dalsing was a wonderful teacher! He was kind to every student and encouraged each student to attain excellence! I consider it an honor to have been taught by Mr. Dalsing. Mr. Dalsing was one of my favorite teachers, both at Shawnee Mission East and JCCC. I remember him for his wit and patience, and he always made time for his students. He was one of the great ones. Sympathies to his family. I taught with Max for years at Shawnee Mission East and Johnson County Community College. He was my best friend for years. I used to enjoy going to lunch with him and Brian Baumgardner after our retirement as long as I was able to. I'll miss him.